With the weather hovering between icy wind and mild temperatures, kids are getting antsy for spring. Until you can simply send your little one outside for hours of amusement, here are some ideas to keep them happy and occupied. Make a special occasion out of going to the theater. The Macomb Center for the Performing Arts in Clinton Township is showing the children’s classic “Charolotte’s Web” March 23 and 24. Your adolescent might enjoy “Rock of Ages” put on by the Clintondale Community Theatre the first two weekends in May. The Anton Art Center in Mount Clemens offers youth art classes. 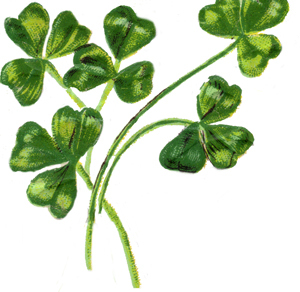 March’s classes are 3-D Map, Illuminated Monogram and Impressions. April’s classes follow an upcycling theme. No appointment is needed to create your own art at Plaster Playhouse in Shelby Township. Simply choose your piece of plaster or pottery and start painting! Boost your baby’s brain power through programs offered at your local library. Throughout the year, the Clinton-Macomb Public Library offers storytime sessions including Baby Time, Tot Time, Little Listeners, Preschool, Music & Movement and Pajamarama. My daughter loves Pajama Storytime at the Eastpointe Memorial Library, where kids dress in their pajamas, bring their favorite stuffed animal to hold and listen to the youth librarian read stories. Check with your local Parks and Recreation Department to see what seasonal offerings are scheduled. The Warren Community Center boasts an indoor waterpark comprised of a lap pool, pool basketball, waterslide, lazy river and play structure complete with a water cannon and waterfall. Other nice amenities for adults include a sauna, steam room and fitness room. Get hands-on and join your kid for a skate around the rink. The St. Clair Shores Ice Arena has public skating from 3 p.m. to 5 p.m. Saturdays and Sundays. It is $3 per person, and children under 6 are free when accompanied by an adult. Admission to the Mount Clemens Ice Arena is $5 for adults and $4.50 for students, seniors and youth. Skate rental is $3. Pack on the layers and head out to one of Macomb County’s Metroparks. Weather permitting, Lake St. Clair Metropark offers ice fishing, cross-country skiing and outdoor ice skating. Snowshoe or cross-country ski across marked trails at Stony Creek Metropark, or head over to the winter sports area with hills to snowboard, sled or toboggan. Eastpointe’s Spindler Park recently revamped its new sledding hill. Open dawn to dusk, it includes a hay bale safety barrier and seating area. The Macomb Orchard Trail isn’t just for running or biking; it’s also open to cross-country skiers. Just Delicious Scones on Utica in Roseville is a quaint tea room, bakery and coffee shop with … well, delicious scones. Get big-girl dressed up for this fancy excursion. Sip tea or cider from beautiful china and delicately nibble on scones – a memory your child will remember. If your little one isn’t likely to sit still for long, try Chuck E. Cheese in Roseville or Sterling Heights. Jungle Java in Clinton Township is an indoor play center with a sports court and laser maze. It includes a separate toddler play area and a full menu. Let the kids burn off energy at the Bounce House in New Baltimore, St. Clair Shores or Sterling Heights. It consists of giant inflatable slides, moon walks and an obstacle course along with arcade games that might even entertain mom and dad. Try Airtime in Sterling Heights or Sky Zone Trampoline Park in Shelby Township for open jumping on wall-to-wall trampolines, foam pits, dodgeball and basketball. Jumpers are sorted by age to make sure the intensity level is a good match, though there are waivers that must be signed before participating in the fun. Play miniature golf any day of the week at Jawor’s on Gratiot in Roseville. It has an 18-hole course for kids of all ages and is open year-round. It doesn’t matter what you decide to do as long as you make the time you spend together count. Unplug and give your kids your full attention – that’s all they want! 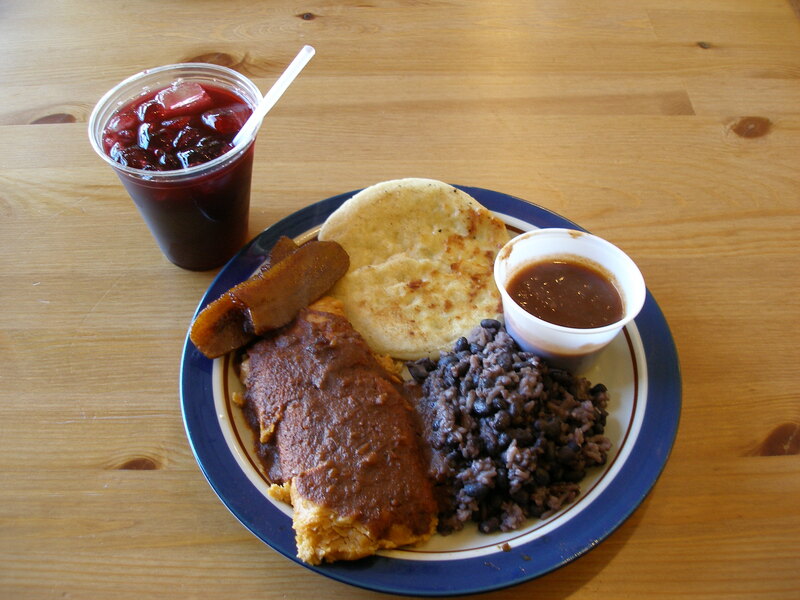 Pilar’s Tamales in Warren is offering something really unique in Macomb County – gluten-free Salvadoran food with dairy-free, vegetarian and vegan options. It’s made with many all-natural, free-range and organic ingredients from local Michigan farms. You may have had a tamale the last time you dined at your favorite Mexican restaurant (see A look into Plaza Mexico), but when was the last time you had a pupusa with fried yuca root and tamarind? I hadn’t even heard of these savory dishes until I tried them at Pilar’s. A pupusa is a grilled handmade tortilla made from stone-ground corn masa filled with your choice of chicken, pork or black beans and cheese. Fried yuca root is derived from the root of a shrubby plant with large, starchy roots. Fried and coated with a spicy seasoning, it is essentially a tropical French fry. Tamarind is a Latin American drink made from the fruit of an Asian evergreen tree. Pilar’s peels their own pods to make this tart and fruity drink. And of course, there are tamales. Handmade with stone-ground corn masa, these tamales are filled with all-natural chicken, chicken and cheese, all-natural pork, spicy pork with ghost chili peppers, chorizo (pork sausage), jalapeno and cheese, black beans and cheese, vegan black beans or tempeh (soybeans). Then they are rolled, steamed and served with a delicious homemade sauce and a side of curtido (cabbage slaw). In fact, all of their stocks, salsa, sauces and salads are made in house. I recommend the perfect pair special because you get to try both a tamale and a pupusa. 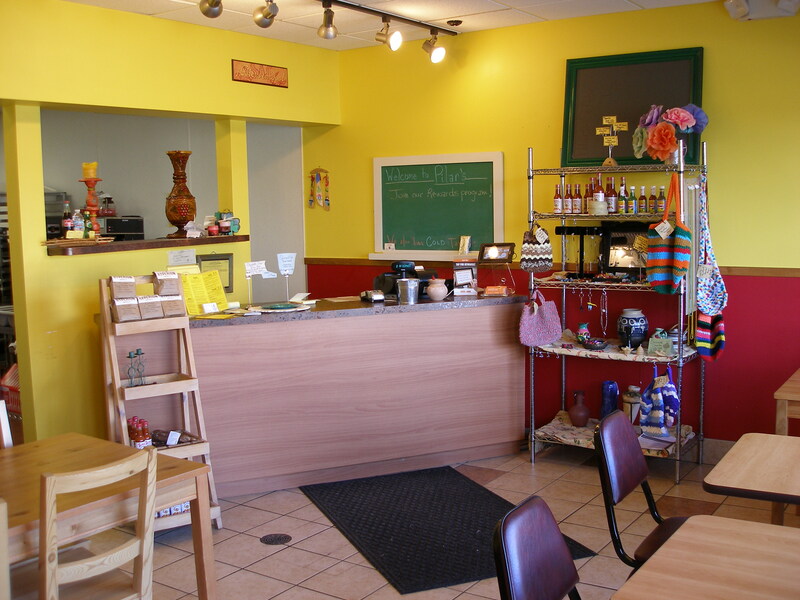 Pilar’s opened their first location in Ann Arbor in 2000. A family of refugees fleeing from the Salvadoran Civil War, they began their business with a tamale cart, selling to University of Michigan students. The business expanded as they became vendors at several farmers markets, offering cold tamales that can be easily frozen and reheated. In early 2014, after looking for a satellite kitchen to be closer to Eastern Market, the Royal Oak Farmers Market and the Birmingham Farmers Market, Juan Carlos Nolasco and his wife Sandra Naimou found an affordable spot in Warren and opened a second Pilar’s Tamales kitchen and restaurant. Juan Carlos’ sisters and mother still manage the Ann Arbor location. Locating on Mound between Chicago and 14 Mile Road has proven to be a good business decision. In addition to their proximity to nearby farmers markets, Pilar’s is also seconds away from the popular Warren Community Center and pool and two of the largest employers in the area: the GM Technical Center and TACOM Life Cycle Management Command. GM has even invited Pilar’s to participate in a rotating lunch program they offer to their employees. Juan Carlos was surprised by how much support they have received from the community. “The people here really care about what they are eating; they care about their health,” he said. His favorite part of running Pilar’s is meeting people who are open to new foods and to trying something different. The recipes are not necessarily traditional Salvadoran because the concept of healthy food was incorporated from the very beginning. While authentic Latin American recipes often contain some not-so-healthy ingredients (think lard), Pilar’s has created their own delicious and healthy versions while still remaining true to their Salvadoran roots. They have devised more varieties of tamales and have included healthier meats raised without antibiotics, hormones or artificial growth stimulants. Kale, squash and other seasonal produce are locally grown at Vanhoutte Farms in Armada. Since everything is free of gluten, it is the ideal dining destination for patrons with celiac disease or food allergies. I could go on and on about the different sides, drinks, desserts and specials available (casamiento made with organic black beans and organic white rice; fried plantains (like a fried banana); and gluten-free, vegan, soy-free and nut-free chocolate chip bliss bars), but you should really explore this restaurant for yourself. Keep an open mind, and remember, this is Salvadoran food and might not be exactly what you expect at first – but I promise it will grow on you! This tiny restaurant offers carry out and minimal dining in. Open Tuesday through Saturday, hours are limited, so be sure plan your visit accordingly. 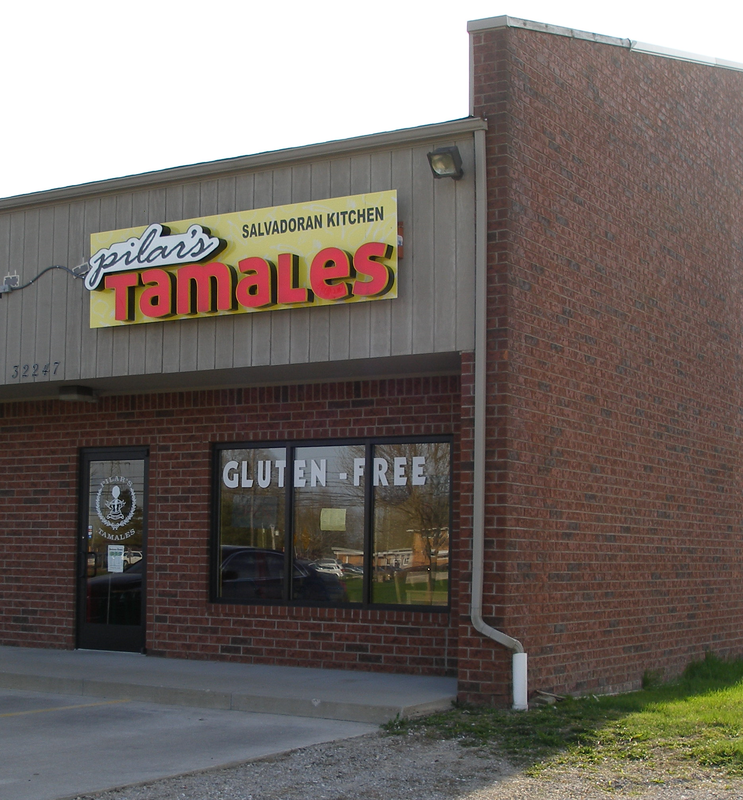 And don’t forget their cold tamales, perfect for freezing and reheating for a great meal at home or an office lunch. Tuesday – Thursday 10 a.m. to 6 p.m.
Friday – 10 a.m. to 6:30 p.m.
Saturday – 11 a.m. to 6:30 p.m.